February is Ovarian Cancer Awareness Month. Each year in Australia some 1400 women are diagnosed with ovarian cancer and more than 1000 will die from the disease. Many women are diagnosed at an advanced stage, where the cancer has spread and is difficult to treat successfully. Thankfully there are companies who are helping to raise awareness for ovarian cancer so that more women can be treated earlier. Babyology is proud to present an amazing offer from one of these companies. Plush have been in the business of selling the most comfortable sofas for 14 years. And it is hard to beat the comfort of their famous Snuggle swivel chair. Perfect for story time and movie nights with your kids, or for snuggling with your love, the Plush Snuggle chair is one of the great specials that Plush have for Ovarian Canver Awareness Month. With a clever circular design, the Snuggle chair can be both a stand-alone in a large nursery or fit in with your current lounge setting. During February, the famous Plush Snuggle Swivel Chair featuring Astral Fabric in ‘Platinum’ will be available for the special price of $1119. Plus $50 from every Snuggle chair sold will be donated to Ovarian Cancer Australia. Since December 2013, Plush has proudly donated over $200,000 to Ovarian Cancer Australia and hope to increase that to $250,000 this February during the campaign. 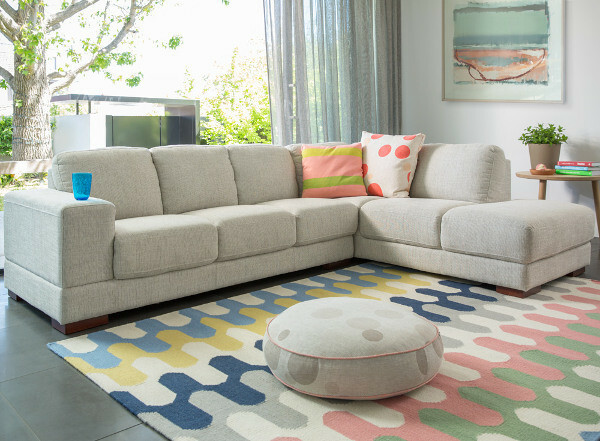 Visit your local Plush showroom during February to enjoy limited time-only prices, with a percentage donated to ovarian cancer research, on the entire range of Plush sofas.